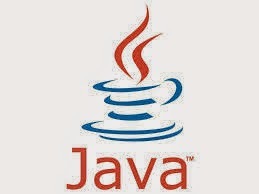 Java is the most popular and also most powerful programming language. It is very tough to become a Java expert because it is a very complex language. To write codes, you have to install specific editor on your system. In programming language, we call them compilers or IDE. Java use IDE not compiler and Java is a platform oriented programming language so you can run your java program on any operating system even on linux and mac. First of all you should know ,what is IDE? An IDE stands for integrated development environment that allow you to write codes, compile, debug and run codes. An IDE checks your code line by line. So it is very useful for large and complex programs. There are some most popular IDEs are available for free like eclipse and Netbeans. But there are many other IDEs are available that can helps you. So let's start our journey. It is a most popular and very simple IDE for Java programmers. Notepad is a built text editor in Windows based operating system. All you need to do is just install Java jdk on your computer and set environment variable of your system. Give path to system directory and it’s done. Now write program and compile it using command prompt. There are some limitations of Notepad IDE. Net Beans is best IDE for professional Java coders. It has some unique features and smart tools that make your program portable and easy to understand. It is not only Java IDE but you can also use it for other programming and web developing languages. It is a free IDE and you can easily download it from its official website. Like NetBeans, Eclipse is also a popular IDE among professional developers. It provides impressive user interface and a dashing development environment. Eclipse is also famous for Android programming. It is free IDE and you can download it from official website. It is a well-known Java IDE and written in Java. It comes with some unique tools and provides advanced code navigation. You can easily find errors and also easily debug programs. It is an advanced and fastest Java IDE for professional Java developers which are written in C++ language. Wii error code 51330 : How to fix ?